I know I do not like my coffee quite as hot as it is when it comes out of the coffee maker, but I don’t know what temperature that is. I like my coffee black with a PH of 6, but I usually don’t know what the actual PH level is. I try not to drink more than 16 ounces of coffee a day, but I am not sure if I drink more sometimes. I need a smarter coffee mug. 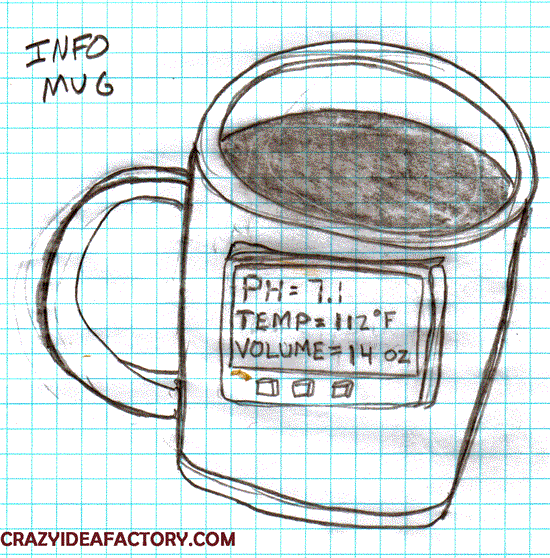 The Info-Mug, it tells me the temperature of my coffee so I know when it’s ready to drink. It tells me the PH of my coffee so I will know if anyone has added anything funny to my coffee and it tells me how much coffee is in my mug so I know how much coffee I am drinking. The Info-Mug has the answer to all of my coffee cup questions. 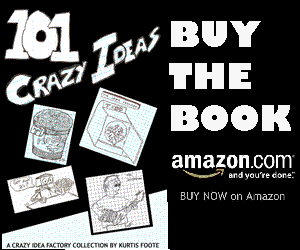 One Comment on "The Info-Mug, Know More About What You’re Drinking"
Your gadgets are pretty funny. How about a mug that could tell you the ratio of creamer to coffee? That way you know not to over do it on the creamer.